BO1034. 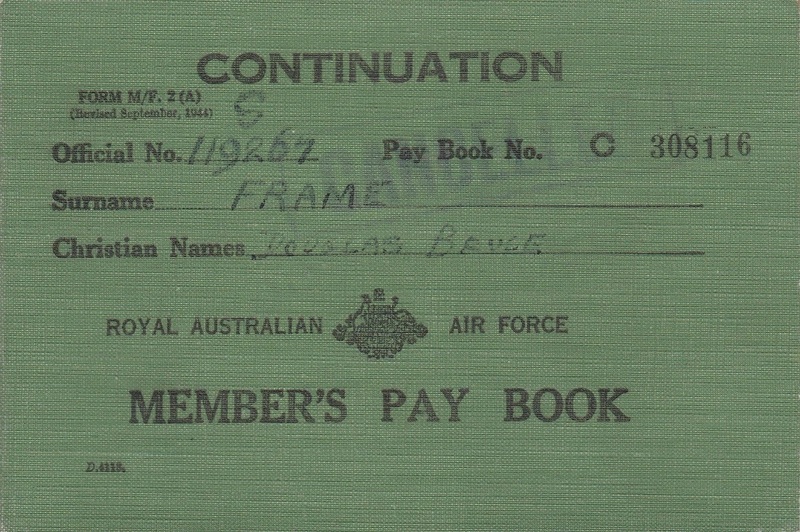 A green pay book named to 119267 Douglas Bruce Frame who was born on 24 Aug 1924, enlisted at Melbourne on 6 Oct 1942 and discharged as a Leading Aircraftsman on 4 Feb 1946 from 1 Engineering School (STAFF). BO1058. 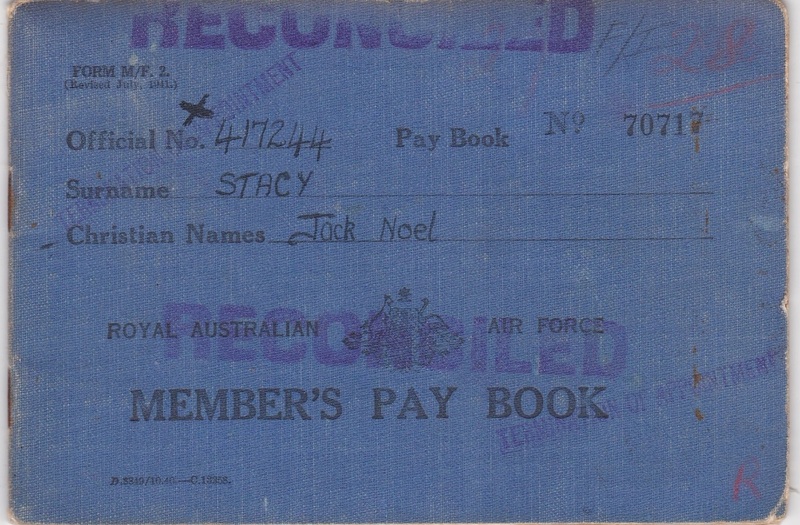 A blue pay book named to 417244 Jack Noel Stacy who was born on 6 Nov 1916, enlisted at Adelaide on 31 Jan 1942 and discharged as a Flight Lieutenant on 15 Mar 1946 from 35 Squadron. BO1058. 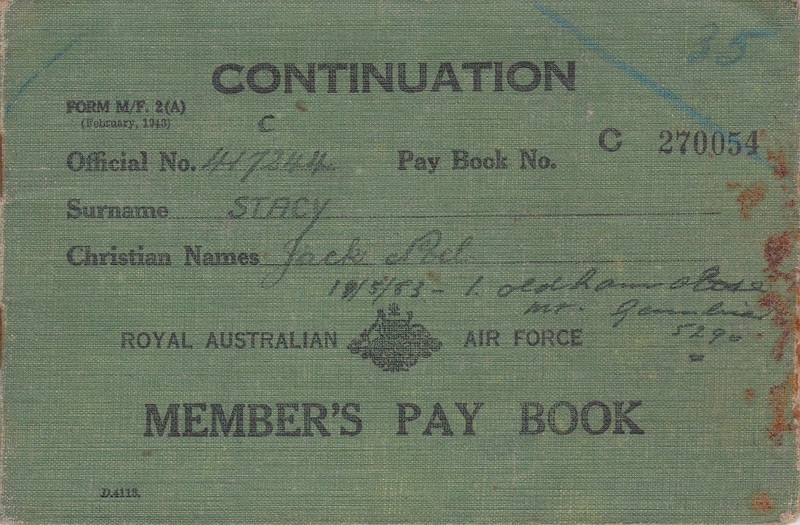 A green pay book named to 417244 Jack Noel Stacy who was born on 6 Nov 1916, enlisted at Adelaide on 31 Jan 1942 and discharged as a Flight Lieutenant on 15 Mar 1946 from 35 Squadron. BO1076. 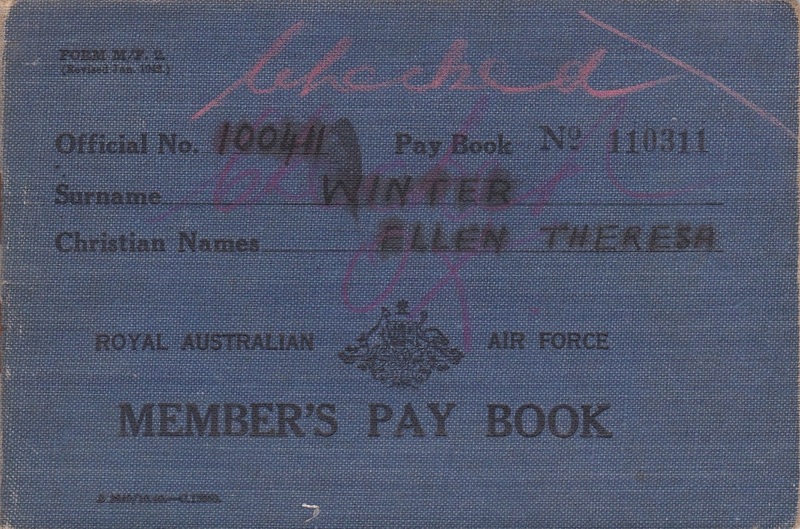 A blue pay book named to WAAAF 100411 Ellen Theresa Winter who was born on 14 Mar 1918, enlisted at Brisbane on 2 Jul 1942 and discharged as an Aircraftswoman on 7 Jan 1946 from RAAF Command. BO1076. 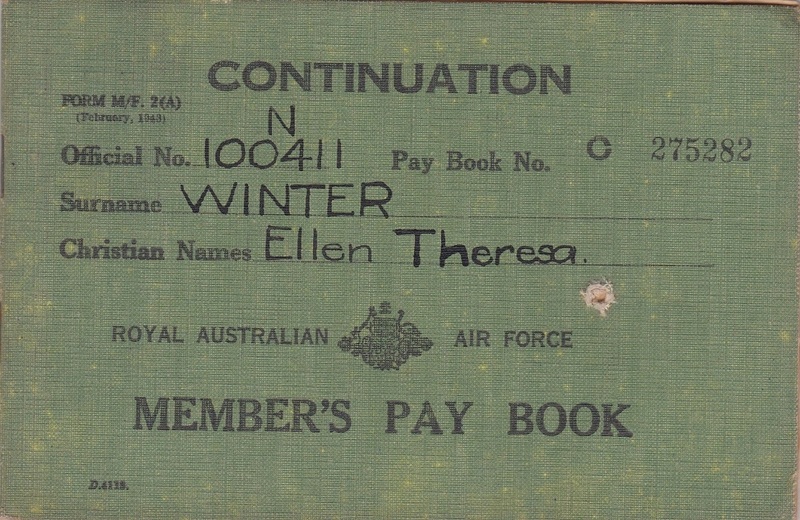 A green pay book named to 100411 Ellen Theresa Winter who was born on 14 Mar 1918, enlisted at Brisbane on 2 Jul 1942 and discharged as an Aircraftswoman on 7 Jan 1946 from RAAF Command. BO1082. 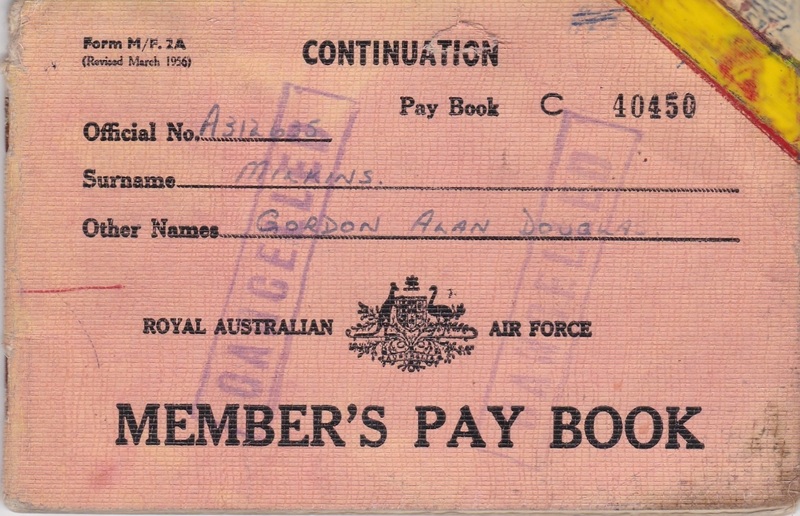 A salmon pay book named to A312635 Gordon Alan Douglas Milkins who was born on 15 Apr 1924 and enlisted on 30 May 1955.